Air grinders are very versatile. They are used economically and reliably in series production and assembly lines, especially in medium-sized and large companies that have a compressed air network. In addition, air grinders are the “top speed” machines among the drives. They achieve higher rotational speeds in comparison to electric grinders or flexible shaft drives. Measured against their small size, they also have a high power output. The robust and resistant slide vane and turbine motors have a long service life and are very easy to service. PFERD, one of the world’s leading manufacturers of tools for surface finishing and metal cutting, offers a comprehensive range of straight, angle and belt grinders, as well as special drives. PFERD air grinders are technically up to date and incorporate the latest ergonomic findings and requirements. They have been specially developed for the economic application of grinding and milling tools and cover a wide rotational speed range (101,000–4,000 RPM) and power range (75–2,600 watts). The new PGAS 2/800 E-HV achieves 80,000 RPM and 110 watts. Its elastically suspended spindle allows low-vibration use. The dead man’s switch using a safety lever valve increases the safety during use. PGAS 2/800 E-HV is suitable for fine milling work in tool- and mould making or in foundries’ fettling shops, especially if it frequently needs to be switched on and off. With 70,000 RPM / 100 watts, the performance of PGAS 1/700 HV is similar, but this air grinder is even easier to handle. It also has a dead man’s switch using a safety lever valve and is ideal for fine milling work. The new grinder with 44,000 RPM and 250 powerful watts is called PGZA 3/440 E. It is usually used in stationary or robot applications with a holder (support) that can be supplied separately. For these kinds of applications, the drive housing was reinforced. The drive unit is mounted elastically. With 12,000 RPM, 540 impressive watts and a centrifugal governor, PGAS 7/120 E-HV offers constant power delivery. The elastic spindle ensures low-vibration use. It is therefore particularly suitable for using tungsten carbide burrs on materials which do not conduct heat well, e.g. in foundries’ fettling shops. PGAS 5/40 V-HV can be used with or without oil. It achieves 370 watts at 4,000 RPM (with oil) or 340 watts at 3,000 RPM (without oil). 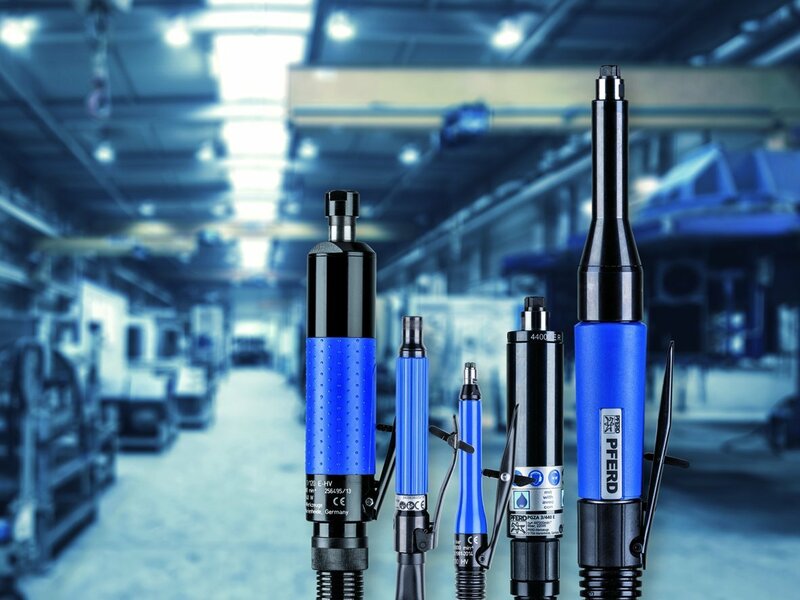 The low rotational speeds and the fact that the exhaust air is discharged to the rear – if used with oil, there will not be any oil residues on the workpiece – make this drive a specialist in polishing work in tool- and mould making. All air grinders have a compact, ergonomic design and are lightweight. They are versatile and provide a high power output in relation to their weight. In addition, fixed rotational speeds ensure high process reliability. The machines are low-maintenance, easy to service and economical.